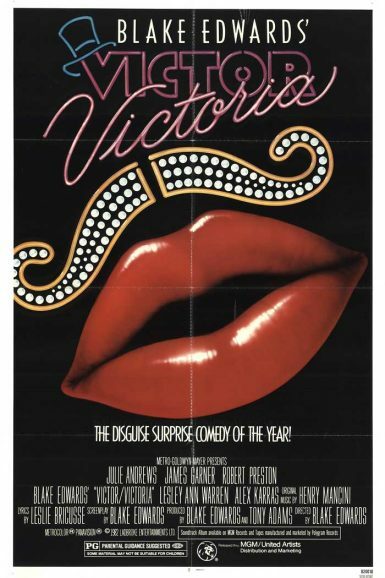 Julie Andrews gives an Oscar nominated lead performance in husband Blake Edwards’ 1982 musical comedy Victor/Victoria. Andrews plays Victoria, a struggling singer living in 1934 Paris. She makes the acquaintance of a fellow performer, Toddy, who proposes that Victoria try to pass herself off as a female impersonator, and she does, setting the Paris entertainment scene on fire. In the process, she meets an American business man with Mob ties (James Garner), who finds himself attracted to Victor/Victoria and doesn’t know what to make of such feelings. Chockablock with songs co-written by Henry Mancini, Andrews impresses with her legendary voice and director Edwards crafts the film with the deft comic hand that served him so well in the Pink Panther movie series. View a collection of Victor/Victoria lobby cards on the New Beverly forum. 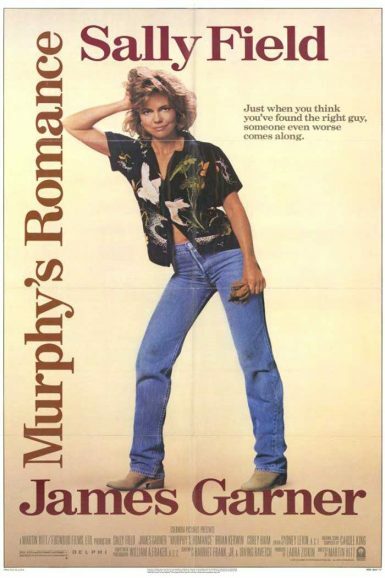 Sally Field and James Garner star in the 1985 romantic drama Murphy’s Romance. Field is Emma, a single mom trying to make a go of it with her son on her recently opened horse farm in a new town. Garner is the much older, widowed drug store owner, Murphy Jones, who falls for the young lady, but ends up having to vie for her affections with her no good ex-husband who weasels his way back into her life. Director Martin Ritt reteams with his Norma Rae star to create a gentle love story played out against the wide open vistas of rural Arizona. Ariel Schudson discusses Murphy’s Romance on the New Beverly blog.